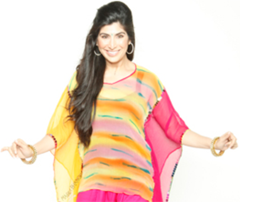 Channel your masculine side with Bhangra and your feminine grace with Bollywood. Move to the beat of the dhol and unleash your inner being to a higher level. No class available in your area? Check out our workout videos - avaliable either on DVD or via online streaming. Join us for live streaming classes on The Daily Burn. Excite and empower your clients with our Indian dance-based program! 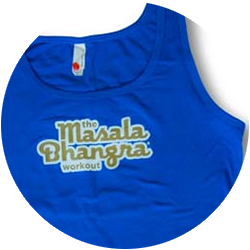 Masala Bhangra® is the first Indian-inspired dance and fitness program that is ACE, AFAA and AFLCA approved. 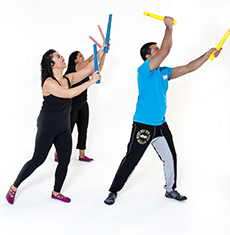 We offer four level programs: Level 1, Level 2, Level 3 Ambassador Training and Bar Bhangra Training. 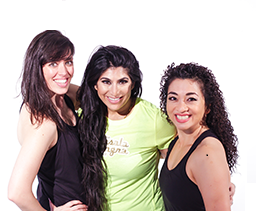 Join the Masala Bhangra® Ambassador Network today! Level 1 Ambassador Trainers can join our network of 200+ trainers to receive discounts, choreography, publicity on our website, and other benefits. Empowering a life-long way of being through Indian dance and music — Our mission is to promote, empower and inspire a permanent healthy lifestyle. A proud Indian American, Sarina Jain was inspired to bring Indian dance (Bhangra and Bollywood) to the fitness world at a global level. 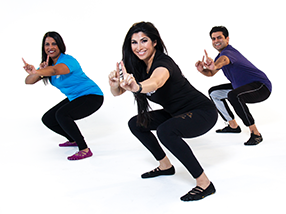 The result is Masala Bhangra® — a workout that combines Indian dance with high-energy, funky moves. We have classes, trainings, and events worldwide. See what we’re up to in your community! Check our Facebook Page and Instagram account for photos from the streetfairs and fitness festivals we've danced in around the world!